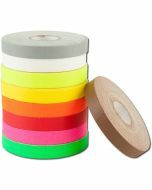 Pro Gaff is a matte cloth tape with a rubber based adhesive system. 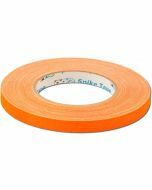 A staple for every stage, TV, and film technician. 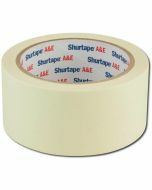 Gaffer's Tape is a strong fabric tape with a matte finish and leaves very little residue. 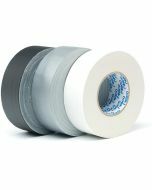 We call this Gaffers Tape, but it's also known as Gaff, Grip, or Dolly tape.